I read this article and wanted to share it with you: How Sonlight Handles the Trivium https://blog.sonlight.com/how-sonlight-handles-the-trivium.html. 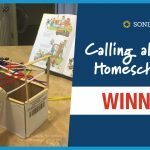 Or "How You Get a Classical Education with Sonlight You and Your Children Will Love"
Some homeschool programs are built around these stages, segmenting instruction by stage and age. This approach is based on child development theory which indicates that children in elementary school are ready for Grammar, middle school children crave Logic, and high school students demand Rhetoric; built into this thinking is an idea that younger children are not yet ready for the upper level stages of learning. There is much truth to this, shown by the success of these programs. Still, limiting discussion to specific ages because young children aren't interested in, say, "why" questions yet is demonstrably misguided. As one mother recently said to me, "Two-year-olds ask why all the time! Clearly they are interested in some kind of logic." Another mother told me that her young children found memorization exercises boring. "That approach would be draining to my family," she said. Sonlight, like every other educational model I've encountered, covers grammar, logic, and rhetoric; we just don't label them that way. Also, we start from a different foundation. Rather than limiting discussion (rhetoric and logic) to children "ready" for it, we encourage you to talk with your children in age appropriate ways. And how do we spark such communication? But not just any stories. 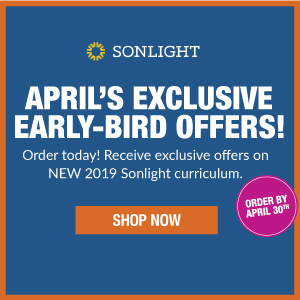 Sonlight begins with a History focus and makes connections from there. 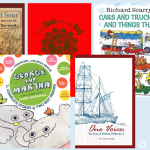 Your curriculum is packed with historical fiction, biographies, beautiful picture books, and more. 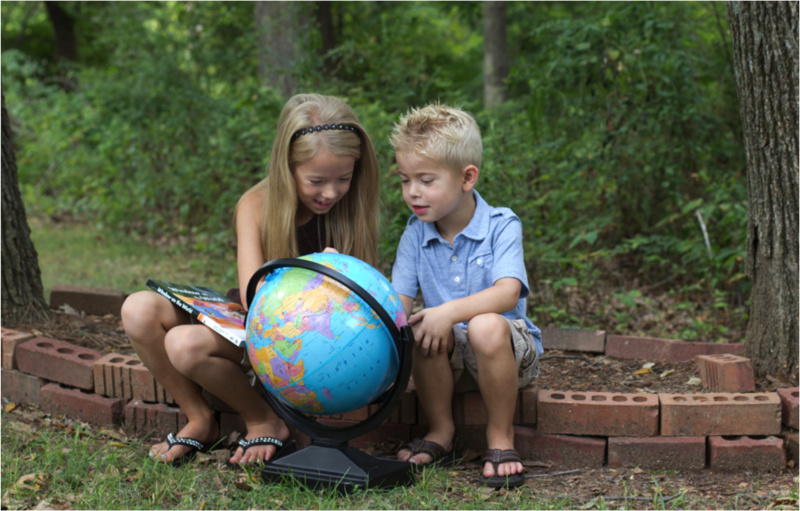 These ignite the imagination and provide ample opportunity to talk with your children, no matter their age. What about the developmental stages? No problem. You, as the parent, know what your children are ready for. Should you attempt to engage a child in "rhetoric" prematurely, you'll get immediate feedback and can adjust slightly. But should your four-year-old want an explanation, you can offer one that is on level. Proponents of a Classical approach suggest kids need "hooks" to which they can attach understanding. These are the facts learned in the Grammar stage. Every program gravitates to this naturally. These are the years where children learn their alphabet, the colors, days of the week, a good bit of vocabulary, and such. 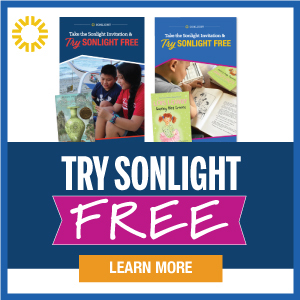 But rather than build a program confined to this idea, Sonlight introduces your children people, places, things within the context of a story. We encourage memorization where appropriate, but your children will remember the key ideas without resorting to dry repetition of data points. The hooks in stories are, in my opinion, a bit more memorable. This is where Sonlight puts you center stage. We have a strong commitment to education, not indoctrination. 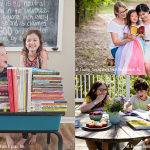 Practically, this means we provide you with tools to introduce your children to what you believe and why. You'll also have opportunity to discuss the ideas you find untrustworthy or less rational. By the time your students hit high school, you will have already established a process by which you mull over big ideas together. For me, the most exciting aspect of driving toward Truth was through the biographies and historical accounts of people who have gone before. 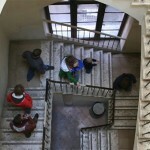 Seeing their lives play out gave me insights into how the world works in ways that dogmatic pronouncements never have. Throughout your Sonlight years, you will help your children solidify what they believe, and why. 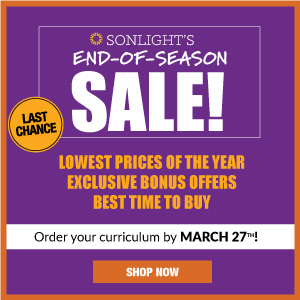 The Sonlight College Prep courses cover everything from the historical impact of Christianity to how the Gospel impacts how we think about money. Yes, you can even add a public speaking bit to your studies should you so choose. But when it comes to communicating ideas, your continued discussion is the best platform. As you wrestle through the darker aspects of history, and the ways men and women of God have extended grace in those situations, your conversations will deepen. And here, as your students teeter on the cusp of adulthood, you will discover the depth and breadth your children have covered. How does Sonlight handle the trivium? 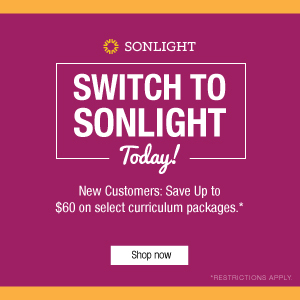 How do you get a Classical Education with Sonlight?